Okay. Why are people so desperate to score a goal in pickup hockey that they would do it at all costs? For the 3rd straight week, someone had crashed the crease in search of that goal which will put them into the NHL. The by-product? My second concussion of the year. Thus, I never got to finish the game and afterwards, I wasn't in the mood to go very far for eats. It's funny how we play Sunday morning hockey at Brit and always drive somewhere for eats afterwards. Why? Well, there are some pretty good places to visit right under our noses. A block a way, there is the Drive, where an eclectic array of eats await us. Finally, I suggested we just walk over and pick a place. Well, not really. I had somewhere in mind already and there was no choice. Call it a friendly dictatorship... In the past, I was alerted to a place called Palki Indian Restaurant. I figured it would be a good opportunity to finally see what it was all about. With JuJu and Milhouse joining me for eats, I figured we'd do 3 lunch specials only. Well, we did order 3 specials, but with JuJu around, that would surely not be enough. Hence we started with a few items including the Shrimp Pakora. These were not as crunchy as we would've liked, but that's not saying they weren't good. The overall texture was pleasing and despite the amount of batter, it wasn't doughy nor greasy. Flavourwise, they were quite mild with a sprinkle of cumin on top. Three condiments were served on the side which included hot sauce, tamarind chutney and mint chutney. 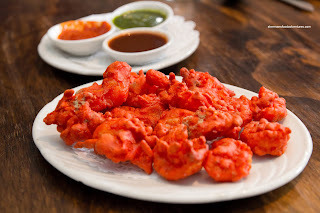 The hot sauce was quite spicy and I thought it went the best with the pakoras. 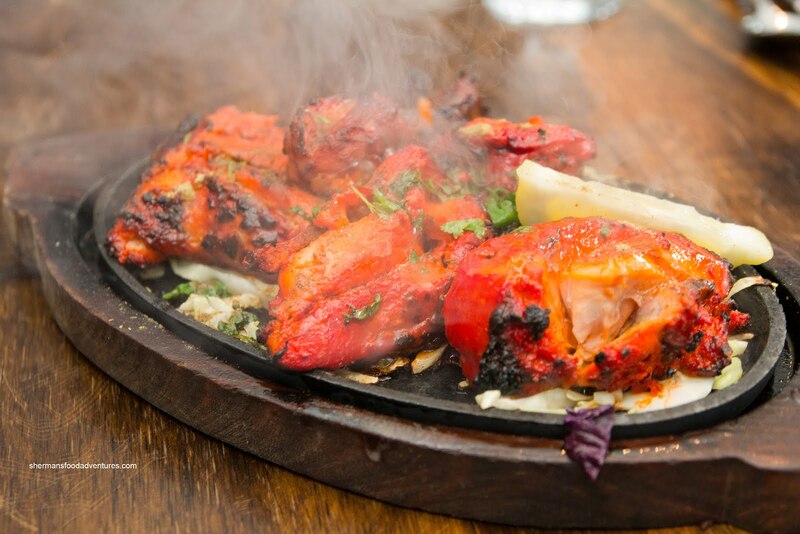 Our second "appie" was half a Tandoori Chicken. It arrived on a truly sizzling hot plate (sometimes it is for show, this one was HOT). The pieces of chicken were large and moist, including the white meat. The flavour was mildly spicy (we had requested medium) with a smokiness from the good char. 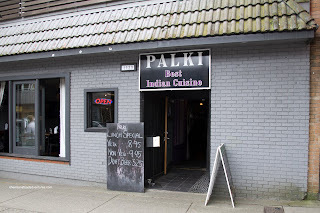 As mentioned, we also ordered 3 of their lunch specials which included naan and rice. We ended up sharing them of course (just how I like it!). 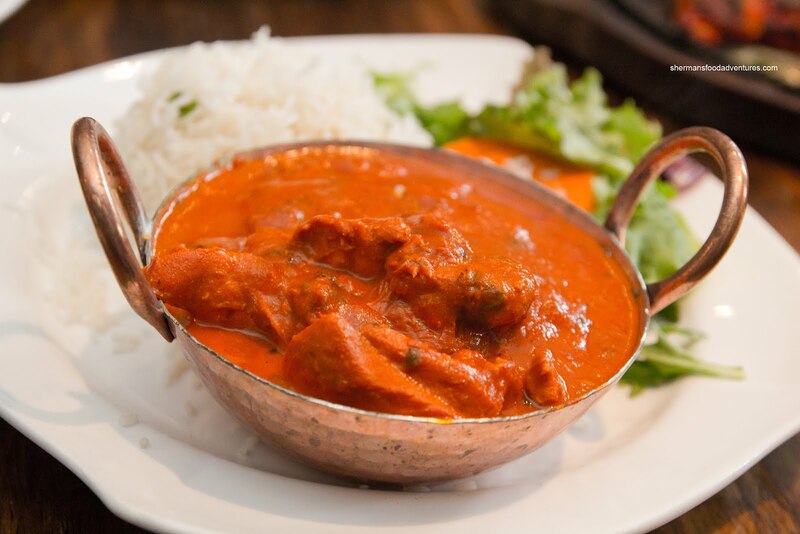 With more meat than sauce, the Butter Chicken was definitely a bit different than I am used to. The pieces of chicken seemed to be randomly cut into large chunks which made it hard to access the sauce. Usually, it is the other way around where there is far too much sauce and no chicken. Trust me, we weren't complaining about the generous amount of meat, it just could've been in smaller chunks. As for the sauce, it was a bit more on the tomatoey side, yet not tart. In fact, the flavours were a bit muted and it could've stood for more salt. I am not going to comment on the spice level as we had requested medi um (I personally would've asked for spicy). 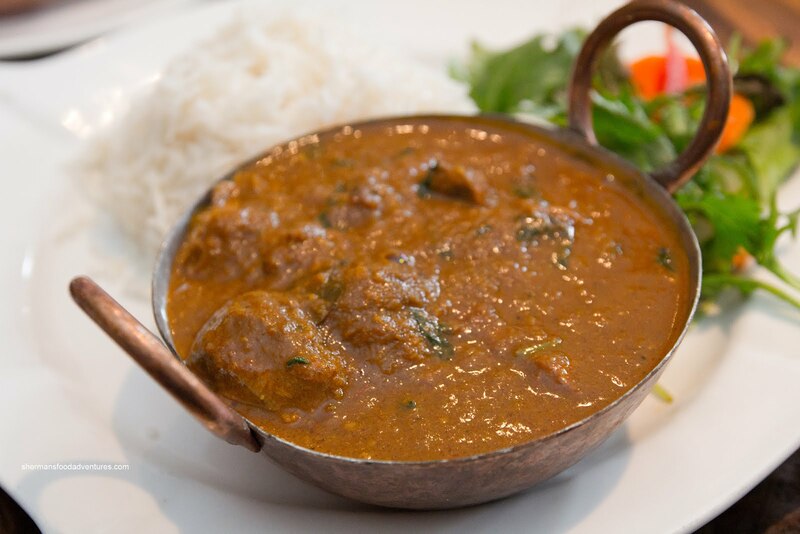 The Lamb Curry was equally full of large chunks of meat. However, they were in a more manageable size. The meat was moist and tender while the curry was mild with a noticeable anise flavour. We loved the consistency of the sauce as it was the perfect thickness. 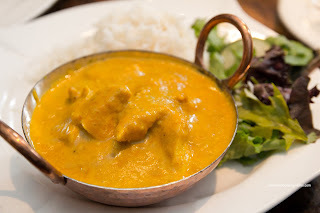 Lastly, the Chicken Korma was aromatic and smooth. Once again, there were large pieces of chicken which were sufficiently moist. The sauce was thick and balanced with a natural sweetness. With that being said, the flavours could've been more amped (and this is taking into consideration that it was medium). 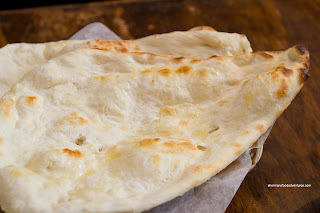 Although the Naan was pale in appearance, the non-visible side (which goes on the walls of the tandoor were nicely charred and crisp. The interior of the naan was soft and chewy. Due to the amount of food we ordered as well as the portion size, we probably ate more than was necessary for lunch (JuJu doesn't understand this concept). In terms of food quality, it wasn't bad considering its location. Flavours could've been more bold, but that was partly our fault for requesting medium spice.